VetriScience Coenzyme Q10 MG Capsules For Cats and Dogs Box of 100. 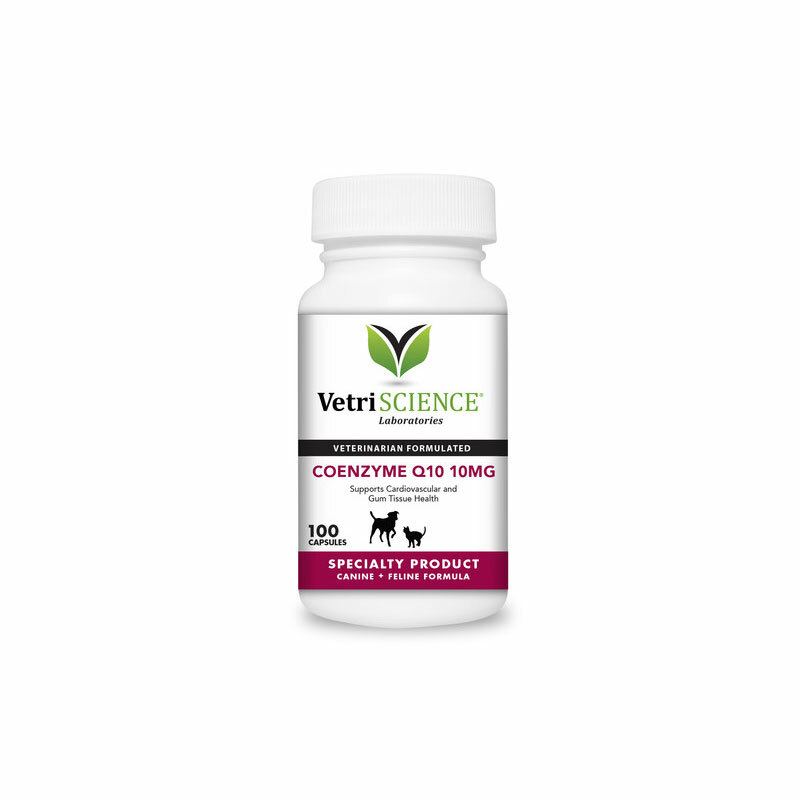 The VetriScience Coenzyme Q10 MG Capsules For Cats & Dogs 100ct supports the formation of Adenosine Triphosphate (ATP), the basic cellular energy molecule. CoQ10 is found in its highest concentrations in high energy organs like the brain, heart, liver, kidneys and pancreas. It is an immune system supporter and a powerful antioxidant. CoQ10 supports periodontal health, circulation, physical energy, stamina, oxygen utilization, carbohydrate metabolism, normal detoxification processes and more. Coenzyme Q10 is available in 10mg capsules. Ingredients: cellulose, gelatin, maltodextrin, silicon dioxide, vegetarian leucine.